Recently spotted at TENAA, this 5.5-inch handset that is powered by a Qualcomm Snapdragon 821 chip has been confirmed to arrive next week. Sadly, it does not come loaded with Android Nougat. 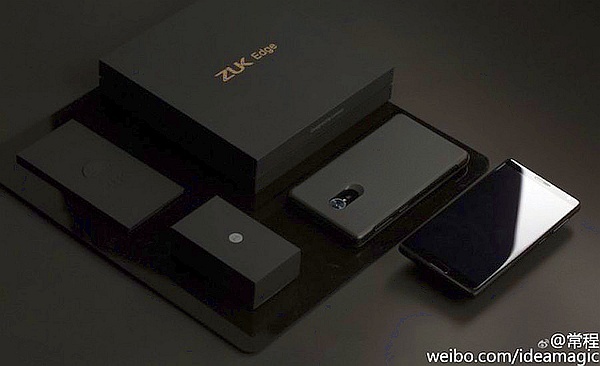 Lenovo ZUK Edge has been mentioned by various rumors in the past, but now it is finally ready to hit the market. Not long after being spotted on TENAA, the CEO of its maker confirmed that ZUK Edge would launch next week. This handset surfaced on both AnTuTu and TENAA so far, and these are the specs uncovered already: Qualcomm Snapdragon 821 SoC, 5.5-inch full HD display, 4 GB RAM, 32 GB or 64 GB internal storage, 8 MP front camera, 13 MP main image shooter, all powered by a 3,000 mAh battery. Unfortunately, it looks like this smartphone will launch running Android 6.0 Marshmallow with ZUI 2.0 on top. Lenovo's former VP, Chang Cheng, who is now ZUK's CEO, did not reveal an accurate launch date. However, he posted a teaser image on Weibo and a launch date set for "next weeK" should be as accurate as it gets for now. We will get back to the Lenovo ZUK Edge once it becomes official, so stay tuned.